The lifestyle most of us have today is hectic. We rush from bed to work, from work to the gym and then home to see our kids while getting ready for work tomorrow. In the meantime, we eat on our feet, in our cars, or in front of our computers. Even when we’re home, we tend to eat on our own, watching TV or scrolling through our social media pages. The problem is, this way we grow further and further apart from the people who matter most in our life – our family. And one great way to reconnect with them on a daily basis is by sitting together at the dinner table. 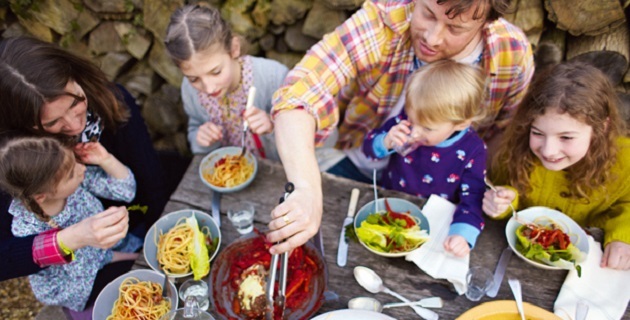 Here’s how to make dinnertime valuable family time. Having dinner together with your family shouldn’t come down to simply sitting down and eating your meal as soon as possible, and then leaving the table in ten minutes. It’s important that everything about this meal feels special. Set the table as a family, use the best china and cutlery you’ve got and take out the nice glasses for everybody. If you feel like it, play some music, but not too loudly, so that you can talk at the table. Set the mood by dimming the lights and lighting some candles. This will add to the relaxing atmosphere that you want to create for the family dinnertime. Do your best to maintain a good mood and avoid any arguments around the dinner table. 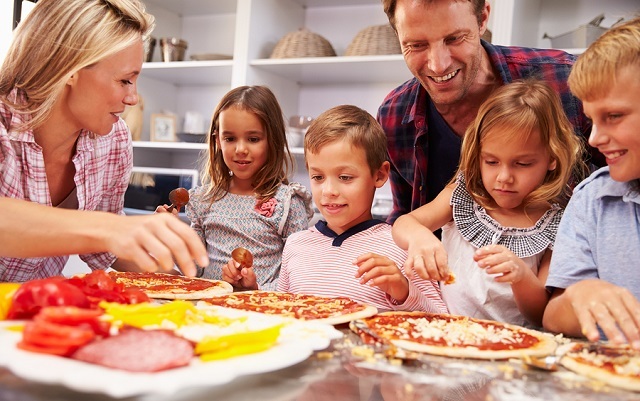 Another way to connect with your family is to cook the dinner together. If you all participate in meal preparation, you will enjoy the meal itself more. You can even plan your meals together. That way the children won’t object to some of the healthy food they don’t particularly enjoy. When you cook your meals yourself, they can be as healthy as you want them to be, which is one of the main advantages of home-cooked meals. 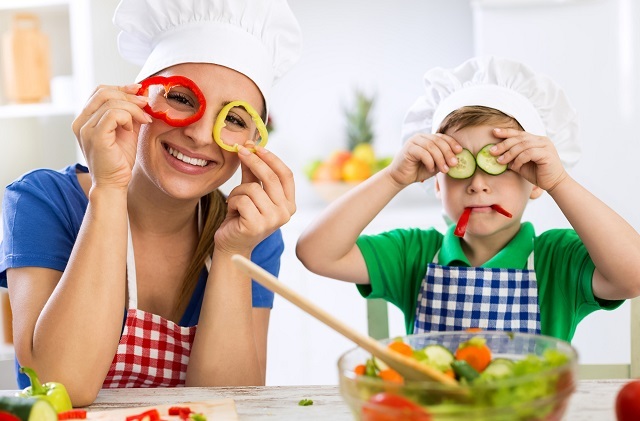 Your kitchen should be family-friendly, which means it should be childproof if your children are still small, and if your kids are old enough to actually help with the cooking, you still need to make sure that all your cookware and appliances are safe for them to use. Don’t install or repair any cooking appliances yourself. If your kitchen needs an upgrade, don’t hesitate to call professional experts who can install Euro appliances for you and improve the whole cooking experience. Chat with your family all through the cooking process and boost everybody’s mood before the main event – the dinner. This is another way to make dinnertime quality time with your family. These rules don’t have to be big, but if you make them, you should all stick to them. One of the rules can be to switch your phones off, and another not to start eating until everybody sits down. Similar to this, nobody should be allowed to leave the table before everybody’s done with their dinner. This rule is important, since it can remind you that dinner isn’t just food, but a ritual and a wonderful family tradition. Once you get your whole family to sit down for a meal and what you hope to be a productive conversation, everything can still go south if you’re the only one making an effort, and especially if you’re unsure of how to get your kids to talk. For example, if you ask them how their day was, they’ll most likely just say ‘OK’ or ‘fine’. Also, if you ask them if they had fun at school, they will answer with ‘yes’ or ‘no’. Instead of asking that kind of questions, ask them about specific things, like what they liked about their school trip or their history lesson that day. Ask them about the cartoon they watched, about the football game they played or the concert they attended. To do this, you need to know what’s going on in your children’s lives, which you can find out by staying in touch with their teachers, other parents or keeping up with their homework. Always start with a topic you know they’re interested in and then show them that you’re listening by asking more questions and adding comments of your own. If you let your children play with their phones during dinnertime, they won’t pay much attention to the conversation around the table. They’ll end up checking their phone every minute and playing games instead of talking to the rest of the family. Avoid this by telling them to leave their phone in their room before dinner, with the sound off. Setting a good example is important, so make sure your phone is in your room, too. Turn off the TV and don’t allow any tablet computers at the table either. Having dinner with your family should be a regular event, since it can help you stay in touch with each other and bond through simple conversation and other small gestures. So, start making it a tradition today and have fun doing it.